Head lice, though common, still make most parents, teachers, and health-care workers uneasy. The good news is that head lice usually do not cause any serious disease and can be treated fairly easily. 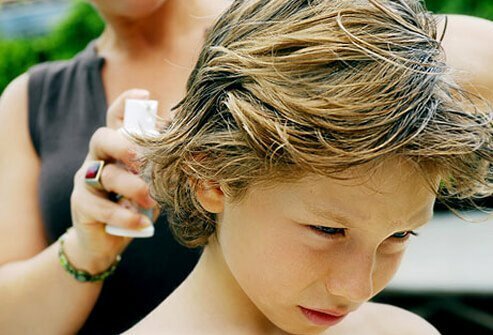 Young school-aged children and their caregivers are at highest risk for developing head lice. Sharing of hats, hair brushes, and other hair-related items are often integral to spreading the infestation. Lice spread through direct contact. They cannot jump or fly and therefore depend upon direct or indirect "head to head" contact. 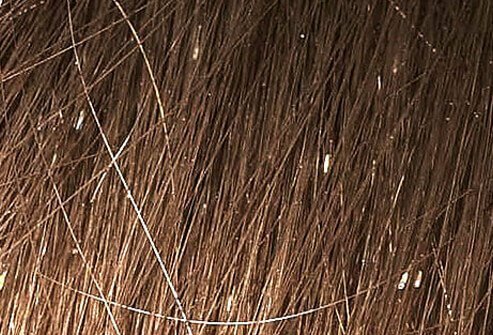 Lice can survive for short periods on clothing, hats, and hairbrushes, so these are often involved in the spread of infestations. 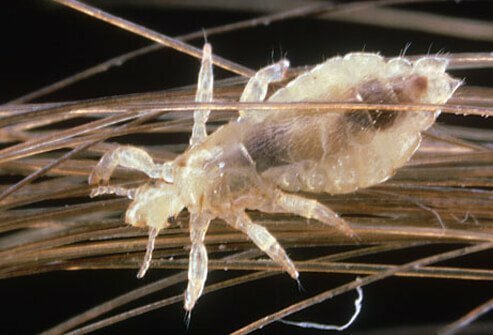 Lice and their eggs (nits) are visible to the naked eye. They can be variable in color, depending on how recently they have fed. Most frequently it is the nits which are seen, since they are static, round, and white and attached to the hair strands close to the scalp. 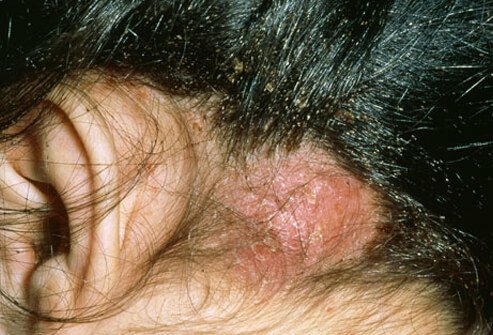 Although itching may be a sign of a lice infestation, most often individuals are asymptomatic. 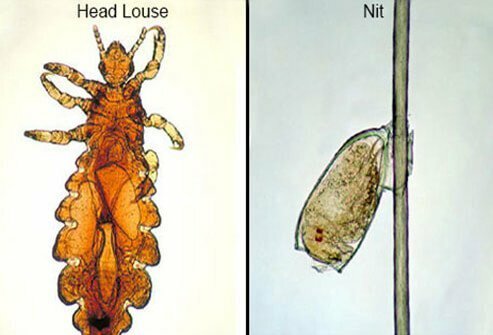 Keep in mind that although the only reliable sign of an infestation is the presence of a live louse or nymph (juvenile louse), the presence of nits may be a sign that there is or has been an active infestation. 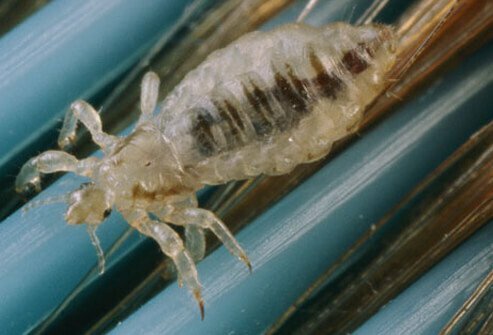 Some people develop an allergic response to the lice, and it is not uncommon to see evidence of inflammation on the neck or scalp. 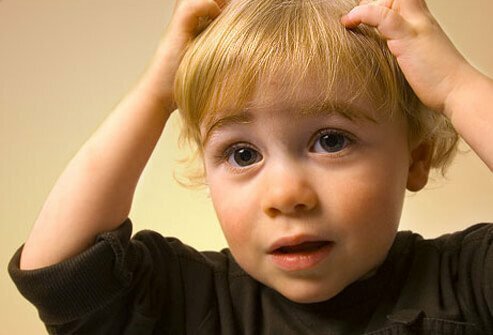 For individuals who develop an allergic reaction to the lice, there is a risk for developing a bacterial infection due to skin breakdown and over-scratching. In these cases, antibiotics may be required to treat the skin infection. It's important to call the doctor if there is increased swelling, redness, and pain. A true head lice infestation needs to be treated. If live lice are detected at any stage, notify a health-care professional and ask for advice about treatment options. Remember to also check the rest of the household contacts, because it is rare to find a single case of lice, given the ease of transmission. 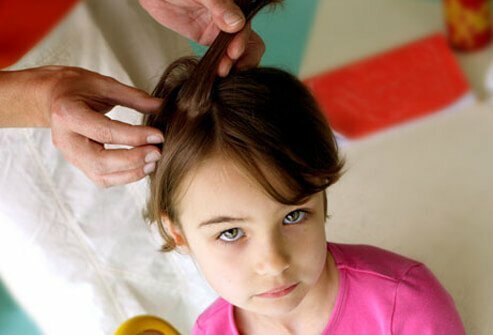 Most topical lice treatments are available without a prescription; however, since some of the ingredients may not be recommended for small children, always discuss the options with a health-care professional. Generally, the topical shampoos have little effect on the nits, so these should be removed manually using a fine-toothed comb. Often, more than one application is needed to ensure complete eradication. 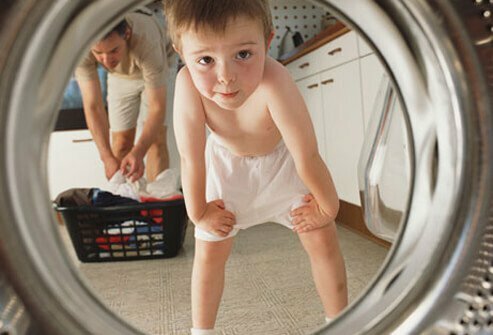 Try to wash all bedding and clothing possibly exposed to head lice. 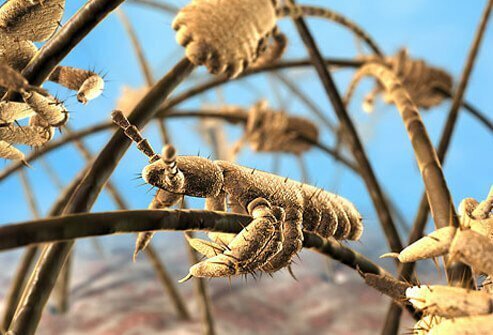 Though lice cannot survive long without feeding, it serves as another level of security that the lice have been eradicated. Though it is unnecessary to clean and bag all stuffed animals, it is probably wise to focus on the "favorite" bedtime companion. There are a number of nonmedical remedies that have been used over the ages to treat lice infestations. 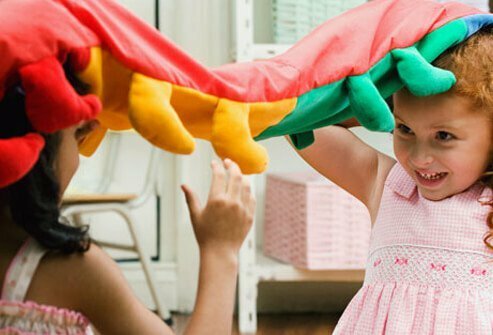 Although there is little evidence that these are effective, many pediatricians recognize that there is no harm in trying them out. 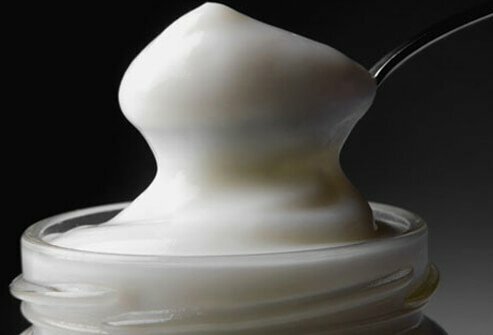 These include using barrier remedies, such as oil or mayonnaise, and vinegar. The mainstay of treatment remains those permethrin- or pyrethrin-based medical therapies such as Nix or Rid. Always discuss treatment options with a health-care professional. Besides the shampoo treatments, using a fine-toothed comb is also recommended. This will remove nits and casings left behind. It is often a long, tedious process, but it will pay off in the end. All children are at risk for head lice. It has nothing to do with one's hygiene, income, or other issues. 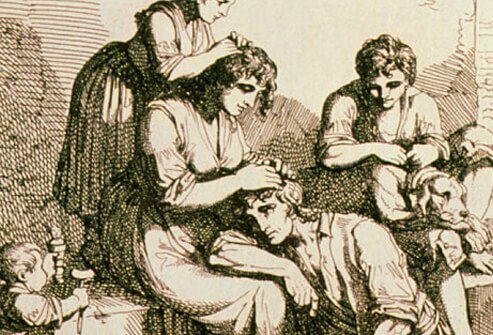 Head lice have been around for thousands of years, and evidence of infestations have been found in ancient Egyptian tombs. As long as we remain social beings, head lice will continue to be around. Head lice should not be considered a health hazard and do not spread disease. Therefore the American Academy of Pediatrics recommends that all healthy children with head lice should not be excluded from school. This flies in the face of many local school policies which exclude children from classes unless all nits have been removed. Unfortunately, it is next to impossible to prevent all head lice infestations. Children tend to have significant opportunities for head-to-head contact. It is wise to remind children to avoid the sharing of hats, combs, and brushes and plan on checking the child's scalp regularly. The earlier the diagnosis, the easier the treatment. Véronique Burger / Photo Researchers, Inc.
George Bernard / Photo Researchers, Inc.
BSIP / Phototake -- All rights reserved. American Academy of Pediatrics: "Head Lice: Clinical Report."